That is to say, find yourself a partner (or I will auto assign too, you can sign up solo!) and sign up for quiz bowl. I am looking to start in mid Feb probably around the week of the 11th being our first match. Do. Not. Worry. About. This. 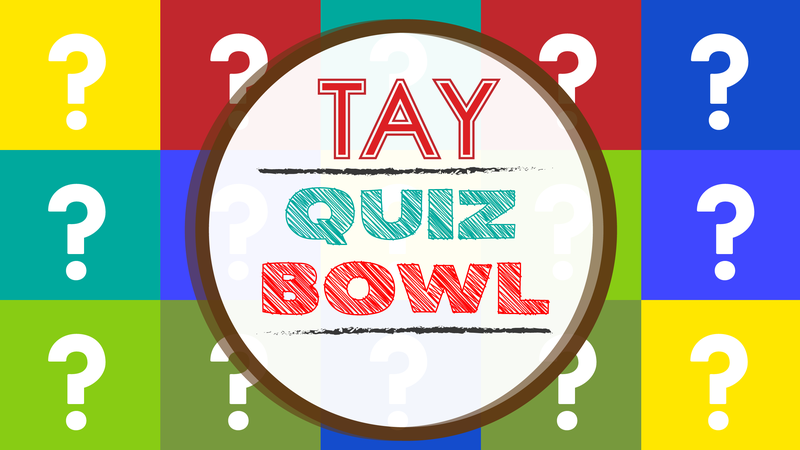 If you have any feeling you want to trivia then sign up and we’ll work around your schedule as much as is possible. If you can’t make it to a match it’s OK, we always have fill-ins. The game is usually double elimination with the winner of the loser’s bracket squaring off against the winner from the winner’s bracket. The winner’s bracket team must be defeated by the loser’s bracket team twice in order for the loser to be crowned...the winner. Hrmm. It’ll make sense when you see the bracket. The good news is that with smaller teams, scheduling is going to be much easier. The bad news is , well you know what there’s not much bad news. We’ll follow the old format where if despite our best efforts, you can’t make it then we allow a rando person to fill in for you! So go ahead and sign up even if you don’t think you can make many of the matches. Who gives a diddle! Fun TAY History :tm: fact time! TAY Discord actually came into being because we’d been using AIM but it was lacking a little. So enter Discord as our preferred method for quizzing. Matches last about an hour or less and might involve many questions about rockets/Nicholas cage (picklous cage). If you have any other questions let me know and I’ll add them here, otherwise just respond in the comments that you’re interested and if you have a teammate already, then your team name. Otherwise I’ll just start assigning teams as they come in. Lastly, I need a header if anyone is so inclined.